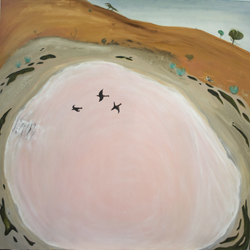 My series of work titled Hills of sand examined the Willandra Lakes area of outback New South Wales – in particular Lake Mungo which is a dry lake. 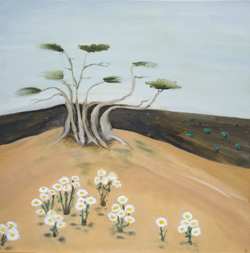 My aim with the project was to juxtapose the dry desert landscape with the fossilized sea life that exists there. 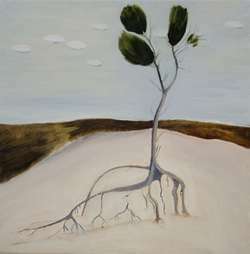 The area is an outstanding example representing major stages in the earth’s evolutionary history and was once a lush environment with plenty of water, teeming with animal and plant life and with the palaeontology of the area a testament to this. 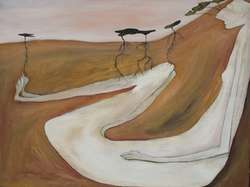 Research for this project was carried out prior to and during a residency at The Art Vault, Mildura. 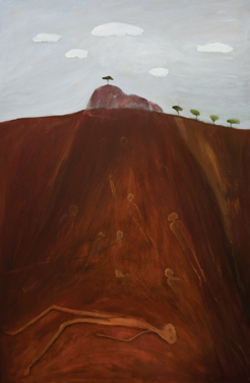 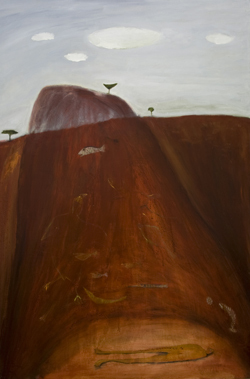 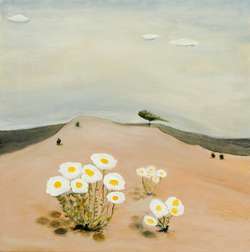 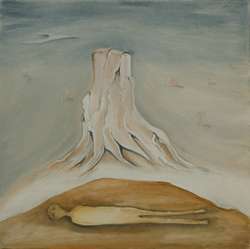 Hills of sand was shown at Stefano’s Gallery 25 in Mildura in January 2010 and at ANCA Gallery in Canberra in August 2010. 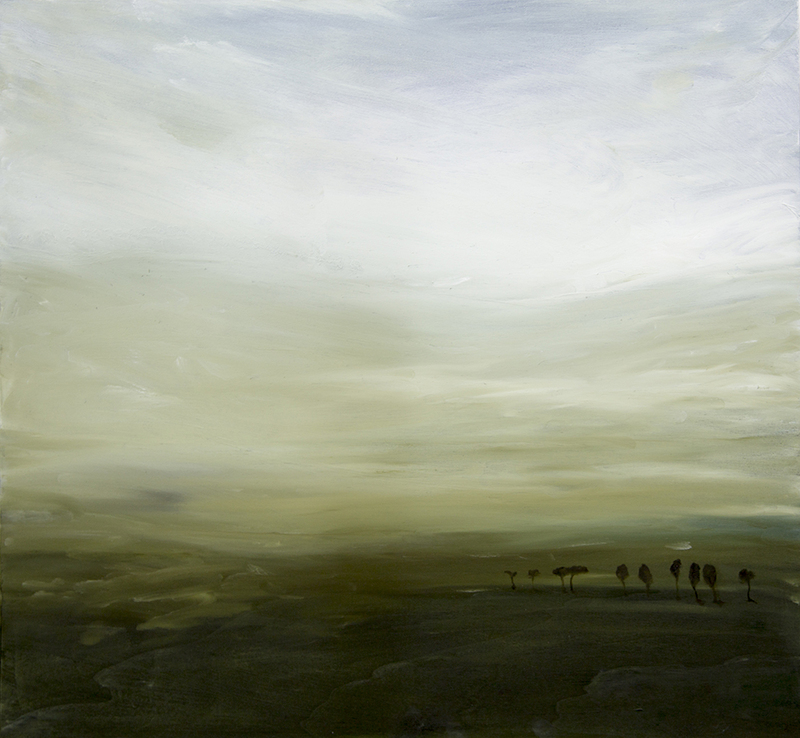 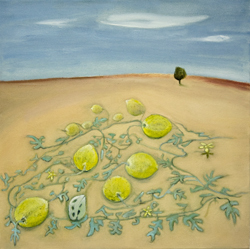 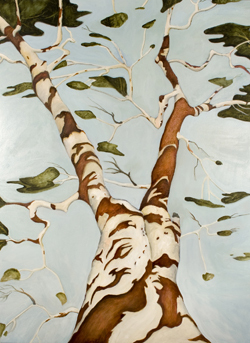 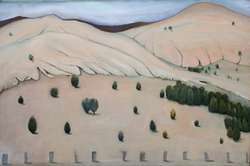 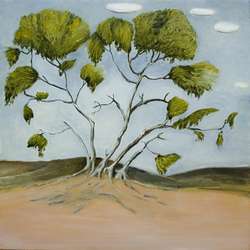 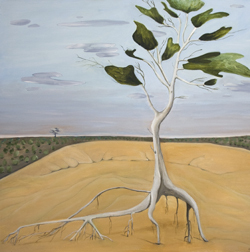 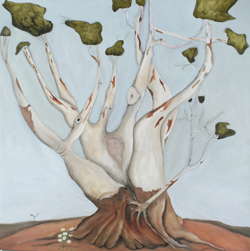 The painting Walls of China, Lake Mungo was selected as a finalist in the Calleen Art Award, Cowra Regional Gallery in April 2011.